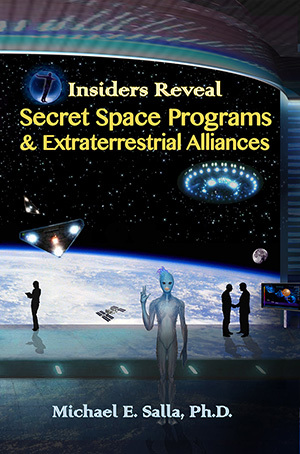 Corey Goode yesterday released the first of a two-part report discussing his latest alleged meetings with different extraterrestrial civilizations and representatives of secret space programs. 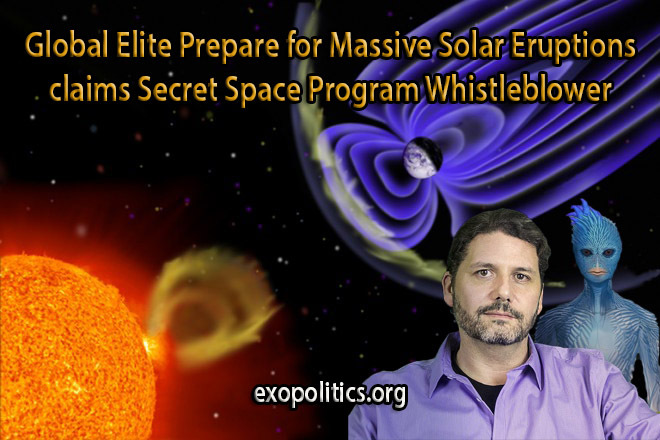 In it, he discusses some disturbing information about elite preparations for upcoming solar events that they believe will have devastating planet-wide effects. In his report, Goode begins by filling in the details of what has taken place since a resumption of meetings after a lengthy hiatus, which he briefly discussed on August 1. He also discussed some of the ramifications of his personal briefings and a Cosmic Disclosure interview concerning a covert aerial tour he was given of six hidden Antarctica facilities belonging to the Interplanetary Corporate Conglomerate (ICC) – one of five space programs he has previously disclosed information about. For those unfamiliar with Goode’s revelations and interviews, his latest report appears fantastic. There is, however, compelling whistleblower, documentary and circumstantial evidence supporting his claims. 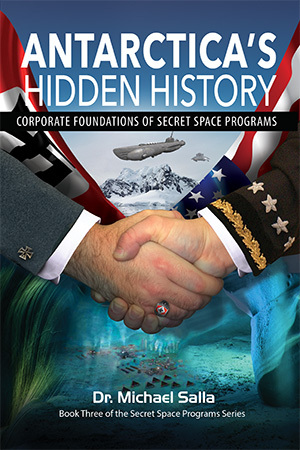 Much of this was presented in the book, Insiders Reveal Secret Space Programs and Extraterrestrial Alliances. Since its September 2015 publication, William Tompkins, a highly respected aerospace engineer, has come forward to reveal his own testimony, supported by official documents, which corroborate many of Goode’s claims. In these briefings she learned that our recent reconnaissance flight into the icy caverns of Antarctica had highly disturbed the individuals who are responsible for security at these installations. They were most shocked that their advanced technology did not detect the presence of the Anshar-Bus Craft. This not only had a psychological impact on those who work at these facilities but it was communicated to me that specific areas under the ice were made public – ancient sites that are fairly significant on a number of levels. The Sphere Being Alliance had helped the Solar Warden/Secret Space Program Alliance upgrade their defensive weapons technologies. It’s not clear if the Anshaar had likewise benefited, but their secret surveillance of Antarctica facilities clearly caught the ICC off-guard. This information shared by Kaaree appeared to be part of a new trend. Previously, the two space programs working with Draconian extraterrestrials according to Goode, the Dark Fleet and the Interplanetary Corporate Conglomerate, had the most advanced weapons technologies. Now they longer held this advantage due to the Sphere Being Alliance. Over the following weeks I was contacted by Kaaree for short exchanges with very little information from her meetings with the SSP Alliance trickling down to me. I was feeling very disconnected and not really of any use. Karee assured Goode about the relationship they would continue to have as a result of the mind meld they had experienced. Significantly, she said that it would continue well after the Sphere Being Alliance had completed their work in our solar system and would depart: “You and I will be in contact far after the Guardians go out of phase”. When I arrived I could see the silhouette of Raw-Tier-Eir and a much shorter figure standing to the left. They appeared to be standing quite a distance away. My attention was suddenly drawn to the outside of the giant energetic sphere we were in. I noticed other spheres of various sizes moving away from the Sun. These spheres were more lit up than I had seen before – from the perspective inside the sphere we were in. They seemed to be shimmering and then were becoming more translucent. They were moving towards the orbit of Venus and Earth in a slow steady fashion. I then looked over at our sun. The wall of the sphere I was inside were behaving like some sort of filter for the way we would normally view the Sun. 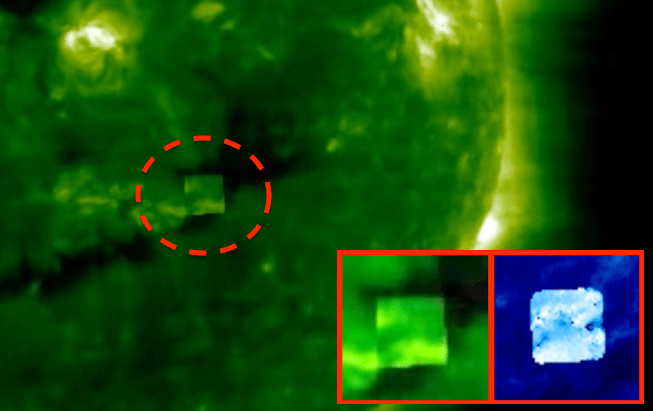 I perceived what appeared to be crackles of electricity radiating from the corona. This is consistent with what Goode has previously described as one of the main function of the giant Jupiter sized spheres that began appearing in our solar system in 2011. Their purpose was to buffer cosmic energies coming into our solar system so humanity could better integrate these and make necessary changes. Goode’s report suggests that the Sphere Being Alliance is currently focusing on the sun, and has giant spheres around it to help buffer incoming Cosmic Energies that could trigger enormous solar eruptions. On August 8, two cameras belonging to NASA’s Solar and Heliospheric Observatory (SOHO), EIT 195 and EIT 171, revealed giant cubes in the vicinity of the sun. 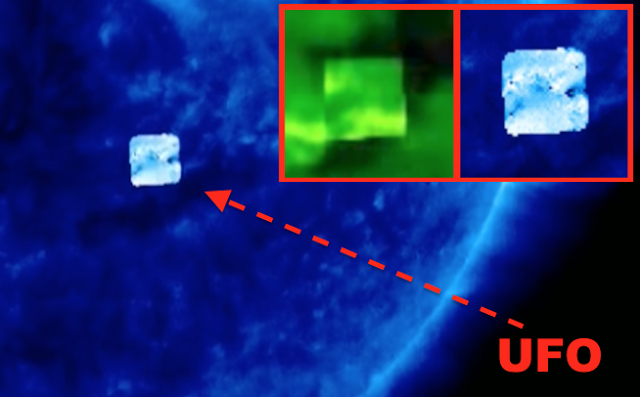 Some speculated that the cubes were a result of photo manipulation designed to remove evidence of large bodies around the sun, possibly spheres. Goode went on to describe a meeting he had with a being from an adjacent star system whose planet had recently undergone a similar liberation struggle as currently taking place on Earth. He introduced himself as “Micca”. He stated that his planet resides in our local star cluster and that his people are our “stellar-cousins” sharing about 94% of the same genetics. He claimed that he was an Ambassador from his system of planets to Earth. Micca then went on stating that his people have been enamored by our cultures and arts but have always been disturbed by our capacity for violence. He further stated that in the past that his people had resided on Earth as refugees during his own peoples battle for freedom. He stated that it had only been a few generations since his people had overcome the tyrannical beings that had enslaved them. Micca further stated that he had worked closely with Raw-Tear-Eir during his own peoples struggles, and that they had recently gone through a process very similar to what we are undergoing. He stated that his people didn’t have as many challenges as are found on the Earth, but that there were numerous similarities. The information from Ambassador Micca correlates with previous information from Goode that our solar system is closely linked with others in a local cluster of solar systems. He has said that there once existed a powerful defensive weapons grid for our local star systems cluster, built by an Ancient Builder Race. It was destroyed about 500,000 years ago during a war between the planet Maldek and Mars, that created the asteroid belt. Significantly, William Tompkins says that Stage 4 of the Apollo Program was for the U.S. Navy to build a defensive grid in 12 adjacent star systems using Space Battle groups. It does not appear coincidental that the Navy envisaged a defensive role for its space battle groups that would include a ring of adjacent solar systems. Once more I looked down to see Raw-Tear-Eir and another person standing before me. I then saw the silhouettes of Raw-Mare-Eir, Raw-Rain-Eir and a “Triangle Headed Being” standing off in the distance. I greeted Tear-Eir and then focused on his companion. It took a moment for me to realize that the person standing before me was Gonzales…. The last I had heard of Gonzales was that he was off with the Mayan group receiving emotional “healing”. Gonzales explained to Goode what had happened since the last time they had met in May 2016. After a short greeting he explained that from his point of view and experience of time, he had been away for almost 6 months. He said that the Mayan technology is simply magical. I kept thinking about how “blissed-out” he was acting and the remarkable change in his overall energy. He stated that he now knew himself and had found a real purpose in life. He then informed me that he had met with a few people in the SSP Alliance. He could not slide back into his old post after disappearing, but was able to remain in contact with certain assets. He was going to stay with the Mayan group and be a liaison of sorts between them and some other groups waiting to assist humanity. The most scientific and pragmatic of these “secret syndicates” believe the entire surface area of the Sun’s corona is about to mass eject. They believe the Sun will then go almost completely dark for a number of days before it re-awakens into a new state of equilibrium. These syndicate “egg heads” believe that the proceeding energetic shock wave and then the impact of this Mega CME would take out all communications, electronics and sources of electricity on Earth… Some of these syndicates further believe this will cause a flip in polarity of the Earth’s magnetic field, having a dramatic effect on every living creature on the planet. The neurology and magnetic fields of our bodies would be effected as would our Consciousness. Goode’s description of the Sun going completely dark for several days, along with a flip in the polarity of the Earth’s magnetic field is very similar to what Greg Braden described in his 1997 book, Awakening to Zero Point: The Collective Initiation. This raises the question of whether Braden’s ideas have influenced elite/cabal preparations. There is a divergence between these various syndicates beliefs as to how powerful of an effect this “solar sneeze” will have to the atmosphere and the surface of the Earth. Some believe that it will be a minor event that will take a few decades to recover from, while others are expecting dramatic increases in volcano eruptions and large scale earthquakes across the world. This particular syndicate group believes it will cause a planetary winter that will repeat the downfall of the previous advanced civilization, which occurred just prior to our last ice-age. “This event isn’t imminent and this is only what some of these syndicates are expecting”. He said that the more esoteric of these syndicates believe, as many do in our community, that this will be a spiritual harvest… They think they can escape or hide from it while deep under-ground and beneath icecaps, such as in Antarctica. 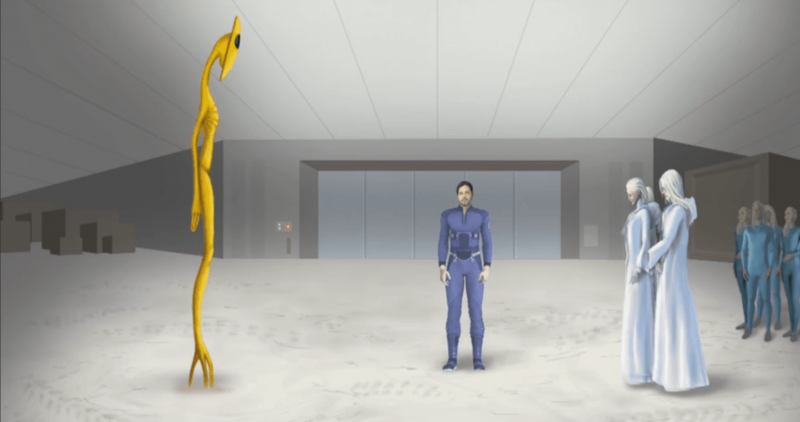 At this point, it became clear that Raw Teir-Eir wanted to explain some things to Goode about the present Earth situation, and Gonzales took his leave. Goode planned to present what Raw Teir-Eir had told him in Part 2 of his report. The next instalment in Goode’s meetings promises to provide significant information about how humanity as a collective entity can face the many challenges confronting it, while the global elite prepare for a planet wide contingency that may or may not occur as they envisage. If what Goode was told is an accurate description of the global elites plans and thinking, it is very telling that many have quietly fled to safe areas in the Southern Hemisphere, without taking even the most minimal of steps to protect the national electrical grids of developed countries, which are most at risk, from predicted massive solar eruptions.